Hong Kong Souvenir playing cards produced in Hong Kong by EDC Distribution Ltd, 54 colour images, all photography by Edmond Chan. A city-state situated on China's south coast and enclosed by the Pearl River Delta and South China Sea, Hong Kong is renowned for its expansive skyline and deep natural harbour. These colourful playing cards depict mainly the city attractions. 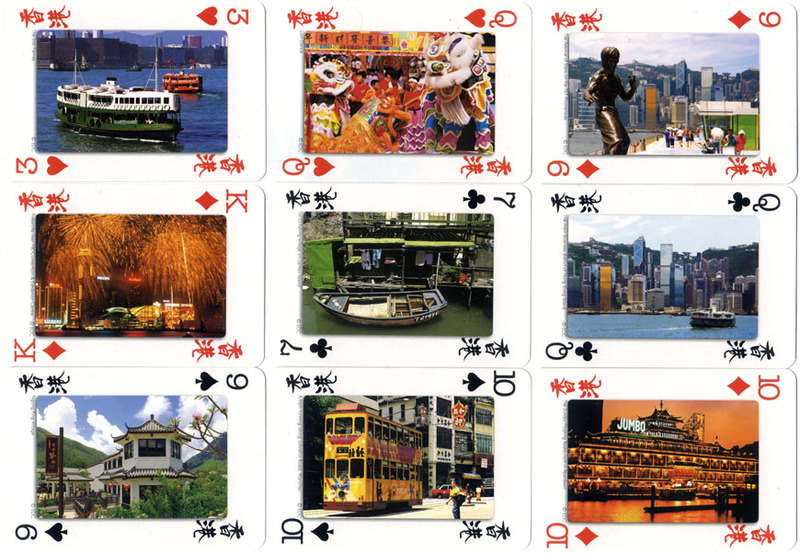 Above: Hong Kong Souvenir playing cards. Cards courtesy Adam Wintle.